Updated 9:30AM, Tuesday July 24th, 2012	by Sam Hailes, Christian.co.uk Be the first to comment! In recent years Simon Ponsonby has emerged as a leading Christian author and theologian. Having previously written on the End Times (And The Lamb Wins), the Holy Spirit (More) and Christian Worship (Now to Him), the Oxford based theologian now turns his passion and gift of clear communication in solid theology to the subject of mercy. The early chapters lay down the basic principles that most Christians will have heard or read about before. But mixed in with his words on how Jesus' ministry is characterised by mercy, Simon ambushes the reader with hard-hitting reflections on the state of today’s world. “I wonder what God thinks of a world that spends $31 billion on ice cream each year, when $9 billion would install sanitation or water for the whole world,” he writes. Developing the subject of justice, Simon points out that the Hebrew word for justice is the same as righteousness; making both terms interchangeable in the Bible writers' minds. But, Simon argues, the Church has emphasised only the one or the other, when in reality we need both. In terms of the political outcome of biblical teaching on mercy, Simon rejects the notion that Jesus was a socialist. The author doesn’t believe we should divide up our wealth and give everyone equal portions. Neither are we called to be like St Francis and sell everything in order to live poor lives. “We are called to work with all our might, and be good stewards of what we’ve been given: investing it, making money and sharing with the poor,” Simon posits. It’s certainly refreshing to read a book that makes living justly sound achievable. Simon convincingly argues that the world needs a generation of godly economists, creating wealth ethically and "investing it for a return in changed lives". Whether this vision will become a reality is another matter. Explaining the recent rise in crime, Simon argues, “There is a natural law that where the fear of God is lost, the respect of man is lost.” What is the answer? “Our only hope is Heaven-sent revival”. Urging Christians to pray for this end, Simon’s chapter entitled ‘Crisis and the Cry ‘Justice’’ feels prophetic and timely. 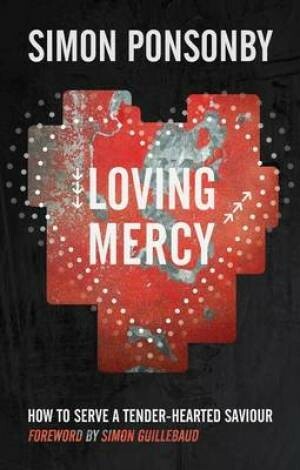 Littering his thoughts and reflections with anecdotes, Loving Mercy is easy to read, but its material remains challenging. Reminding the reader that Hitler was elected on the tide of the Church’s votes, Simon challenges the Church to rid itself of bribes (chapter 7) and respond to God’s “tender grace” (chapter 8). The subject of mercy and justice is uncontroversial, but Simon does throw in many thought provoking remarks, both on and off his main topic, throughout the book. He is dismissive of speaking in tongues, preferring to highlight “how you use your tongue as a gift” as being of primary importance. Referencing controversial film The Last Temptation of Christ, Simon rejects claims that it promoted “blasphemy”. He argues that the scene where Jesus is on the cross, considering what life would have been like if he had married Mary Magdalene, “challenges us to take seriously the real, actual visceral humanity of our Lord”. He also claims the that Church should be: “the most egalitarian community in the world,” and that God is restoring modern day Israel to its homeland. One of the many highlights in Loving Mercy is Simon’s honesty about his previous struggles; most notably, his inward battle with xenophobia. He doesn’t write as an expert hiding in an ivory tower. Instead Simon has penned a very down to earth book that is challenging yet encouraging. Simon is clear on the Bible’s message and the seriousness of the subject he is addressing. But the chances are you’ll finish the book optimistic that living justly and loving mercy is more possible than you first realised. With a healthy mixture of theory, stories and even the odd suggestion and recommendation, Loving Mercy is a fantastic exploration of one of the Bible's deepest themes.